The River Mountains Loop Trail is a paved multiple use, multi-jurisdictional trail approximately 35 miles in length surrounding the River Mountains connecting Lake Mead National Recreation Area, Hoover Dam, Boulder City, Henderson, and the rest of the Las Vegas Valley. Location: The Trail encircles the mountains that separate the Las Vegas Valley and Lake Mead National Recreation Area. Connects Lake Mead NRA to east side of Henderson, circling the River Mountains. 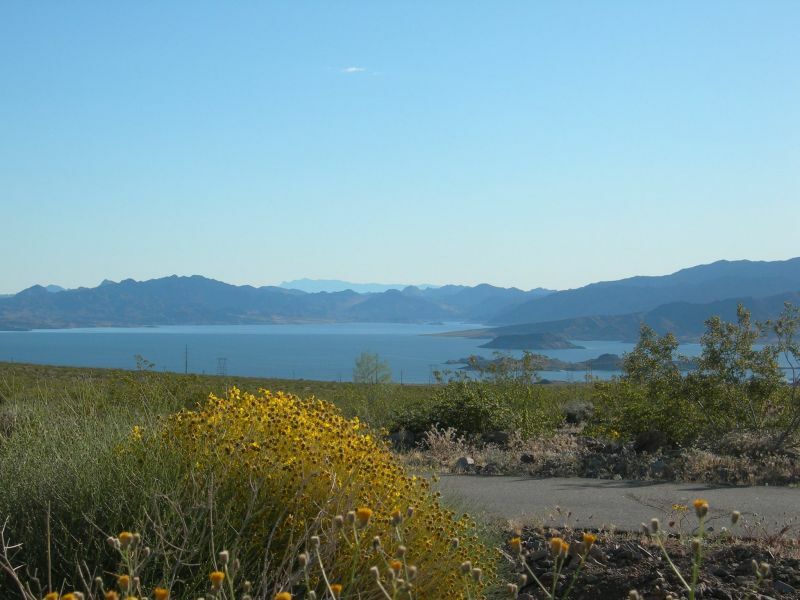 The Trail is easily accessible from the Las Vegas Valley by driving to on U.S. Highway 95 to Railroad Pass or exiting the Las Vegas Valley on Lake Mead Parkway through Henderson, Nevada. The trail is completely separate and isolated from the highway system allowing families to use the trail without fear of hiking or bicycling in traffic. The alternative transportation corridor to the existing highway system was an important element in the design of this trail. Portions of the trail (15 miles) include a parallel equestrian trail, providing a designated path between the Las Vegas Valley and the backcountry of Lake Mead National Recreation Area. Most of this trail is constructed in rural areas, providing opportunities to connect with the natural desert setting. The River Mountains support one of the largest bighorn sheep populations in the area and the perimeter trail provides great opportunities to view bighorn sheep in their natural setting. In addition, the River Mountains provide habitat for the threatened desert tortoise, a species seldom seen as it resides in desert settings and is only active in the warmer months. The sighting of these special species make the daily sighting of jackrabbits, coyotes, bluebirds, lizards and many other animals go relatively unappreciated. The vistas along the trail are outstanding. The River Mountains form the scenic backdrop for the community of Henderson, Nevada, along the eastern side of the Las Vegas Valley. The maintenance of this view from the valley is valued and has been recognized in local and regional open space planning. But the views from the trail are also outstanding and include panoramas of the Las Vegas Wash, Lake Mead, Hemenway Valley, Eldorado Valley and perhaps the most spectacular view is the view of the Las Vegas Valley. The Clark County Health Department has been a fundamental supporter for all trail development and especially the River Mountains Loop Trail. At each of our events held in support of trail development, the Clark County Health Department has been an active participant promoting health and fitness through trail use. The River Mountains Trail Partnership has work closely with the Clark County Health Department in the promotion of the trail. Big Bike (metal) at the confluence of the RMLT and Bootleg Canyon International Mtn Bike area. Photo by Tony Taylor. Giant concrete rattlesnake in Bootleg Canyon by the RMLT. Photo by Tony Taylor. Old trail and new blacktop, with lake in the background showing mineral deposits after 15 years of drought. Photo by Tony Taylor. New trail signage. Photo by Tony Taylor.